This quote is a great summary of Chapter 6. The focus of Chapter 6 is built around eight action steps to building thinking skills in all students. 1) Teach comprehension strategies explicitily. 7) Engage kids in temporary, flexible, needs-based small group instruction and small- group work. 8) Share pathways to understanding through digital reading, listening, and viewing. 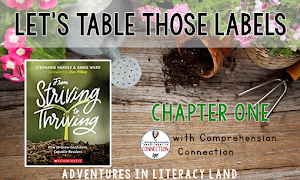 For this blog post, I really want to focus on teaching comprehension explicitly and using interactive read-alouds. Fix-up Strategies require readers to self-monitor. These need to be taught, but they also need to be practiced. 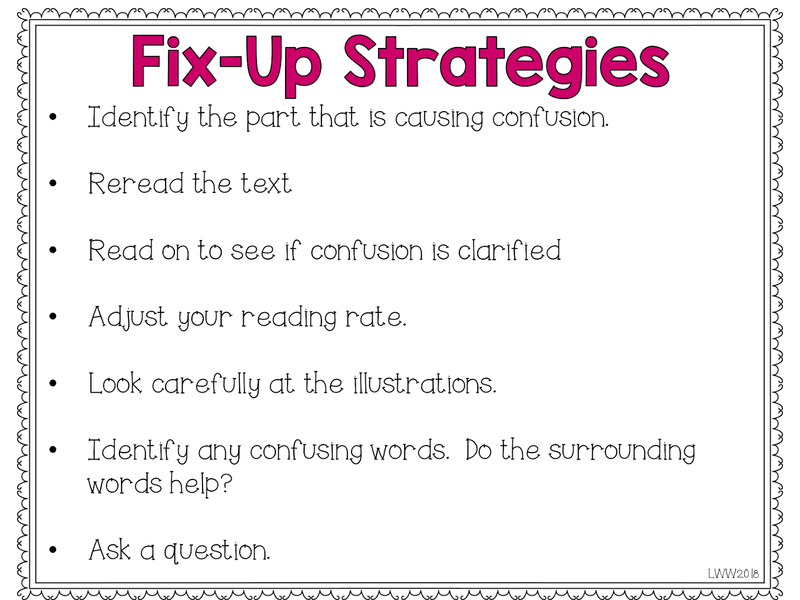 The great thing about teaching fix-up strategies is that you can use any text to practice. Proficient readers use these strategies as they are reading, but striving readers do not. When teaching these strategies the focus needs to always be to teach the strategy to bettr understand what is being read. Harvey and Ward recommend teaching several lessons on a specific strategy so they can process and practice using the strategy. Striving readers need to see HOW the strategy helps them make sense of what they read. 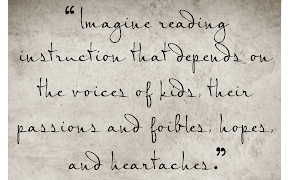 The power in interactive read alouds is that the teacher models their own thinking. Interative read-alouds can be used to model complex text, we also need to read aloud every day “for the sheer joy of it.” This provides them an opportunity to be immersed in words and sounds, learn about new concepts and ideas, build curiosity, entertain them and help all students fall in love with reading! 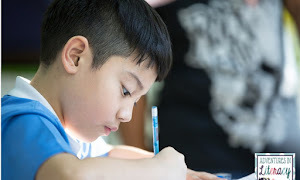 During the read aloud, even though the students do not have a copy of the text, they can have a clipboard, sticky notes, a writing notebook, or graphic organizers, so they can write (or draw) their thinking. 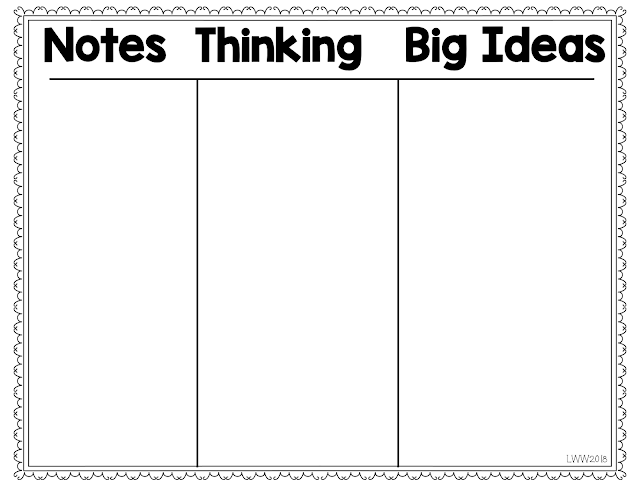 This 3-column note taking form helps students think about what they are reading. This. Is. Huge. It is important that all studnets are participating when reading strategies are being modeled. Interative read-alouds build community, engagement, and comprehension. This is a great way for striving readers to be engaged in complex text and praticpate in discussions with their classmates. 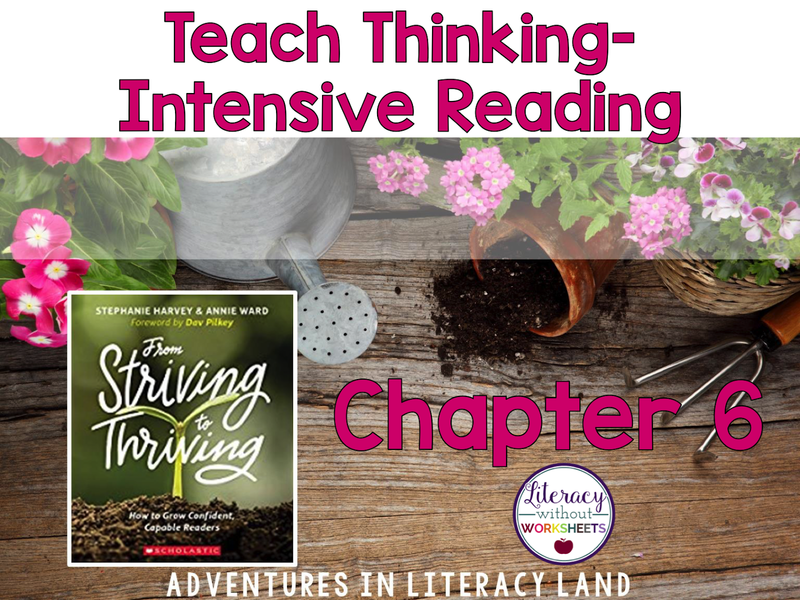 Interactive read alouds are a time that striving readers can shine, because the teacher is reading, but they are discussing and commenting. 1) Am I teaching comprehension strategies and modeling their flexible use to construct meaning? 2) Am I giving students enough time to practice strategies they have learned independently? 3) Is the student listeining to the inner conversation to monitor comprehension? 4) Is the student annotating the text in some way to keep track of their theikning? 5) Is the student using fix-up strategies to get back on track when meaning breaks down? I do agree that we should not pull out during the reading block instruction! Those students really need to see what is happening, even if they aren't quite there yet. Some students still need some systematic phonics instruction to help with holes in their decoding. Without decoding, they can't always use meaning or clues (guessing) to get the words right. This is where balance is key! Decoding and comprehension must work together to help our striving readers. This book has really helped me better understand how teachers can integrate interventions into everyday lessons and not rely solely on the person providing intervention. Every teacher needs to read this book!